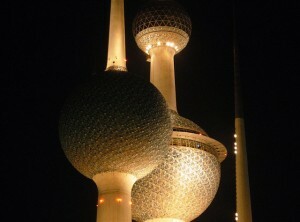 Expat Family Health » Public health care denied to expats in Kuwait? In the future expats might be denied access to the public health services in Kuwait. Kuwait is in the process of passing a bill which if approved will mean that expatriates living in the country no longer have access to the public health care services. The idea behind this is to lessen the strain on the governmental budget in light of the drop in international oil prices. Nearly 3 million expatriates live and work in Kuwait. The government divides them into two categories. The first category includes foreigners who are working in the private sector. If the plans are approved, this group would be treated in expat-only hospitals. The second category are those who work in the public sector or as domestic servants. For this group it would only be possible to get treatment at private medical facilities. This proposal could go forward despite the fact that expats already pay a compulsory annual fee of KD 50 per year for health insurance while public health services are free for citizens. The government has already taken action by establishing a shareholding company, through the public-private partnership system, to build insurance hospitals who will provide medical services to expats. When the new hospitals are done, it is expected that the expatriates’ annual health insurance fee will increase to KD 150. Not only will the expats’ insurance fee triple, but expats probably have to purchase a health insurance policy from a particular company to have access to the medical services provided at specific hospitals. The news raised concerns regarding the facilities of the private health sector and whether it can handle the large number of expatriates requiring services once access to public healthcare services are cancelled. If the plan goes through, expats are left with no choice but to purchase private health insurance. International health insurers tend to have extensive networks across different continents. You can find an international insurer with plenty of connections and knowledge of the Middle East. You will have access to all the necessary care and services that you need. Moreover, you will always have guaranteed access to high-quality medical centres and treatments. If the local insurer doesn’t speak your language, things can get complicated. With an international health insurer there is always someone who can speak your language. It’s still up in the air if the bill gets passed by the cabinet. It all depends on the Ministries of Finance, Oil and Commerce, the General Secretariat of the Supreme Council for Planning and Development, the Department of Fatwa and Legislation, and a privatization bureau who have been assigned to study the bill.